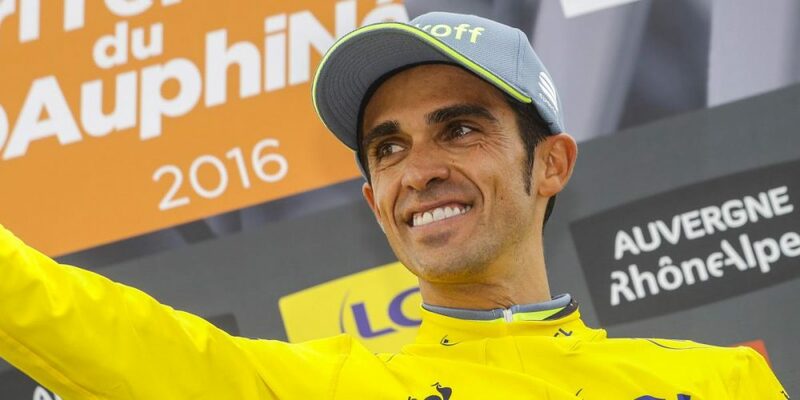 Trek-Segafredo is proud to confirm that 33-year-old Alberto Contador will be joining the pinstriped team in 2017.Contador, who needs little introduction, has won all three Grand Tours in addition to numerous other victories and is arguably one of the best stage racers of the modern era. Trek-Segafredo is also pleased to welcome climber Jesús Hernández and staff member Steven de Jongh. Jesús Hernández, Contador’s trusted teammate from 2000 to 2005 and from 2009 to present, is also joining Trek-Segafredo: “I am really happy to come back to Trek because I also rode a Trek bike in 2009. Alberto is like my brother and coming back with him to the Trek family is really something special. It means a lot to me. Finally, the team is welcoming Steven de Jongh to the staff of the team. He joins the existing group of experienced sports directors at Trek-Segafredo. He has been supporting Alberto Contador from the team car since 2013 and is a trusted colleague of the Spaniard.